I’m still on the ground here at the IBM Smarter Commerce Global Summit in Orlando, Florida, but time is short and I have a plane to catch. I bagged at least 14 on-camera interviews yesterday, for me a new record, and Scott Laningham and I bagged another 8 or 9 on Wednesday. Tell me what day is is again? Ohhh…oh yeah, it’s Fridayyyy! TGIF! I get to go home today! So here’s the deal: I was SO busy conducting the video interviews in the Smarter Commerce Solutions Center, I had precious little bandwidth for sharing all the great news emerging at the event here in the Turbo blog. So, I’m going to try and do a quick little catch-up here. This is a new set of services from our own IBM Interactive digital arm to help businesses build and expand their digital presence. Mucho mas details here. This is new software and services designed to help Chief Marketing Officers (CMO), Chief Procurement Officers (CPO) and other key line-of-business executives realize quicker business results by delivering intelligence guided customer experiences, across all digital channels, aligned to the buying and shopping preferences of each individual. IBM Marketing Center, an IBM SmartCloud Solution that integrates digital analytics with real-time marketing execution capabilities into a single solution that allows CMOs to better meet customer needs by quickly analyzing customer shopping patterns and turning these insights into intelligent offers that are personalized to each person. A new Smarter Commerce managed services offering that helps clients more rapidly and effectively deploy and manage their ecommerce environments. A new offering for Strategic Supply Management, available on-premises and as a SmartCloud solution that speeds and improves supplier governance, risk and compliance. IBM currently analyzes more than $100 billion in commerce transactions per year in the cloud. Current IBM customers that have embraced cloud-based Smarter Commerce offerings include RadioShack, Bank of Montreal and Urban Outfitters. With these new offerings, IBM can provide customers with automation and intelligence while accelerating and improving marketing, sales, customer service, procurement and supply chain management. More on that announcement here. I mentioned earlier we conducted a number of interviews, which Scott and I will be featuring in our respective blogs over the next few days (weeks?) as time and space permits. I’ll start with our first day of interviews, where Scott and I had the opportunity to speak with Forrester Research “boomeranger” David Cooperstein, who’s in his second stint at that consultancy and focusing on the milieu of the Chief Marketing Officer. David spoke to some of the concerns he’s hearing from CMOs, including the real fear of losing control of their brand and the emerging focus shift from creative- to analytical-driven marketing. In the Journal article, author Spencer Ante points out that Gartner recently predicted by 2017, the chief marketing officer will control more technology spending than the company CIO. Gartner estimates that around a third of marketing department expense budgets is devoted to purchases such as systems to manage customer relationships, predict customer behavior, and run online storefronts, and that the global spend on marketing software already rose from $20 billion to $25 billion over the past year. Specifically, IBM has spent some $3 billion making acquisitions in this growing market over the past several years, including the acquisitions of Coremetrics, DemandTec, TeaLeaf, and Unica. Following is an interview my compadre, Scott Laningham, conducted with Yuchun in Madrid on the topic of smarter commerce. IBM is on a roll recently with its market research, and this go ‘round centers on the concerns of chief marketing officers (CMOs) in the midmarket (small-to-medium sized businesses). CMOs from midsize firms are striking a better balance today between investing in solutions that drive efficiency and those that improve decision making, foster collaboration, and enhance customer relationships. First, the headline: Building and sustaining brand loyalty is the top concern for midmarket CMOs, yet 72 percent of them are not sure how to effectively build this loyalty. Additionally, 70 percent of these CMOs are concerned about data explosion, as they are tasked with making sense of highly complex information generated constantly from a variety of sources such as consumer blogs, Tweets, mobile texts, and videos. Sixty-one percent of midmarket are struggling with how to transform this shift into a business opportunity. Many CMOs are focused on understanding the markets versus understanding the individual consumer in order to shape marketing strategies. Only 40 percent of midmarket CMOs are taking the time to understand and evaluate the impact of consumer generated reviews, blogs and third party rankings of their brands! The proliferation of social media and mobile devices is creating a new breed of consumer that is digitally savvy and is able to quickly compare and evaluate which products and services they want to buy. Mobile commerce is expected to reach $31 billion by 2016, yet 62 percent of midmarket CMOs are not prepared to capture the business opportunity mobile commerce presents. This increase in the mobile shopping trend further increases marketing challenges, complicates data collection and analysis, and threatens both customer service and customer retention. Like their peers in larger organizations, midmarket CMOs are also being held more financially accountable to their organizations to produce business outcomes at a faster pace. The study also revealed that while midmarket CMOs believe ROI on marketing dollars spent will be the most important measuring stick for determining success of their business by 2015, the survey noted 72 percent of CMOs are unprepared for the plummeting level of brand loyalty. Aside from current economic conditions, there’s an even bigger factor impacting brand loyalty. Innovations in technology and the spread of social networking have provided buyers with new tools for discovering, comparing, evaluating, choosing and experiencing brands. With the growth of social networks and a need for transparency, trust and personal exchanges between the consumer and the marketplace are now forming the cornerstone of small and midsize marketing efforts. Everyday consumers are creating 2.5 quintillion bytes of data with 90 percent of the world’s data created in the last two years alone. Savvy marketers are gaining insight from social media and incorporating it into their strategies. The key is predicting what consumers will want and then adapting marketing strategies to give them the right product when, where, and at what price they want it. Today, retailers are embracing technologies such as analytics to make sense of massive amounts of data consumers are generating every single second to effectively target the individual consumer and enhance the shopping experience. Lee Jeans, one of the most recognizable apparel brands in the world faced the challenge of capturing and analyzing the huge volume of information being generated by a variety of sources before any merchandising decisions could be made on its website, Lee.com. By adopting analytics technology, Lee employees now have the capability to quickly make informed decisions that will improve the consumer’s shopping experience. Now, all the information that merchandisers need such as how well items sell, what is currently in stock and what consumers are saying through social media channels is organized into simple visuals that are shown over product thumbnail images on the Lee website. With this visual layout that mirrors Lee.com, the merchandisers can easily move products around based on popularity and availability. Merchandisers are able to see which products are being viewed most often and most importantly, which ones are being purchased most often. This ultimately allows the Lee team to display the site in a way that provides the best shopping experience for consumers. Lee is now also able to obtain all product view data, online sales, abandonment rates and conversion rates to give Lee merchandisers a quick snapshot of product performance. Lee is also capturing consumer sentiment data generated from social media channels such as Facebook and brand rating website Bazaarvoice. 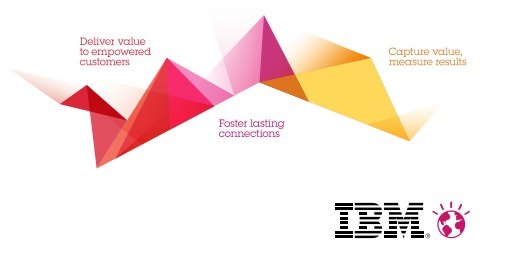 Go here for more information on the IBM Mid-Market CMO Study. You can also register for the IBM Smarter Commerce webcast on Nov. 17 at 10am ET to learn more.